Tissue samples from bodies of resistance fighters killed by the Nazis to be buried in a ceremony. Tissue samples of resistance fighters killed by the Nazis will be buried in a ceremony on May 13, 74 years after the end of World War II, according to a Reuters report quoting the German Bild am Sonntag newspaper. In 2016, tiny tissues samples were found at the estate of anatomy professor Hermann Stieve of the University of Berlin. 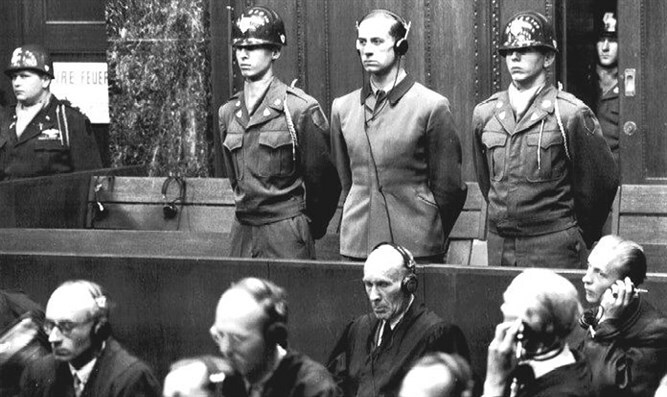 He had received the dead bodies of German anti-Nazi fighters for research, sometimes almost immediately after they were killed at the Berlin-Ploetzensee prison. Stieve dissected the bodies and then cremated and buried them, sometimes in mass graves. Some of the samples were marked with the names of their victims, who were mostly female. Stieve's heirs found the samples in his estate and gave them to Berline's Charite hospital. The hospital hired Johannes Tuchel, director of the Memorial to the German Resistance to perform a study on the samples. “We have discovered that (Stieve) systematically aided the (Nazi) Reich Justice Ministry in obliterating the tracks of these criminal acts,” Tuchel told Bild. According to Tuchel, Stieve hired a driver to bring the bodies of the resistance fighters from the prison. The driver salvaged the gold fillings he found in the bodies, pulling them out with a wrench. The doctor dissected 184 bodies, of whom 172 were women.